Question…What does a senior from Wissahickon High School, a freshman from Temple University Ambler, and a senior from Delaware Valley College all have in common? Answer… these 3 students stepped up to the plate, in extraordinary ways, to partner with Impact Thrift Stores to support families and children in need. 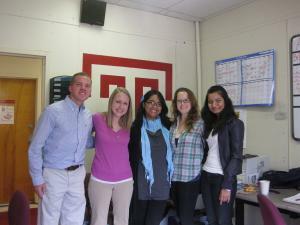 By partnering with Impact Thrift, these 3 students were liberated to lead. And, through their experiences, they expressed their own individual responsibility to be charitable to others in need, their passions to serve the community, and the importance of protecting the environment. 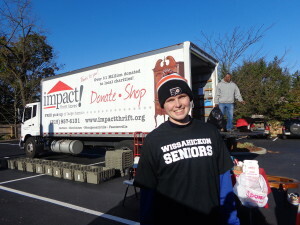 Justin Miles of Wissahickon High School: On Saturday October 26th, Justin Miles’ held a community collection drive event at his church, St. Anthony of Padua, entitled “Ambler Makes an Impact”. 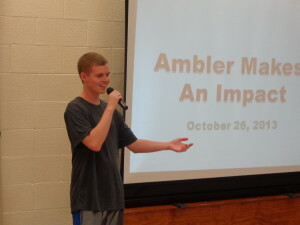 Justin organized this charitable event for his senior project at Wissahickon High School, as a way to positively impact the Ambler community. From the first moment, I met Justin I knew he was an exceptional young man, but I had no idea of the vastness of his dedication, commitment and spirit of generosity. Justin went door to door delivering flyers to homes in the Ambler area…he promoted the event in his church’s newsletter…he solicited the support of area businesses to display flyers advertising the event in their windows…he also gave presentations regarding the event to religious education classes at Saint Anthony. 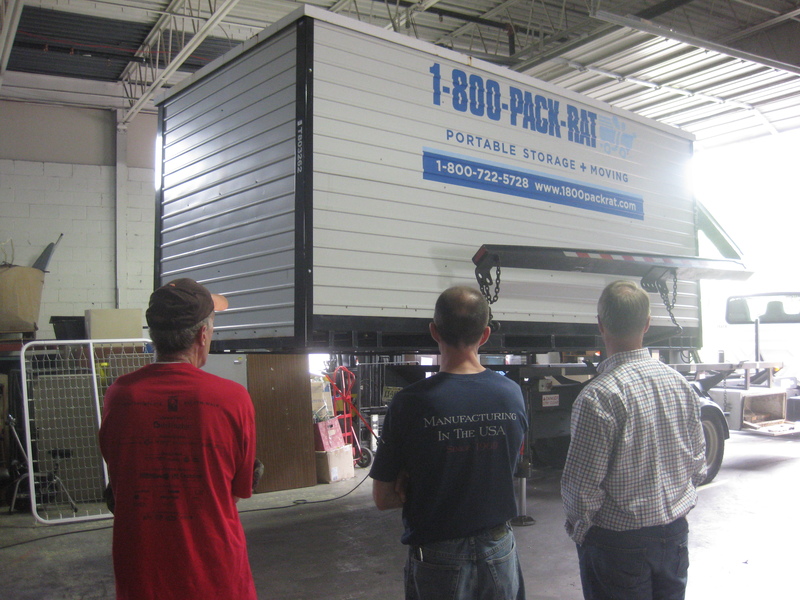 Because of Justin’s tenacity, and the overwhelming support and generosity of the Ambler community, Justin was able to completely fill an entire 24 foot truck from floor to ceiling. We could barely close the back door of the truck! When I asked Justin to share this experience, in his own words, he very graciously and humbling responded, “I just wanted to do something for my senior project that would help my community. I felt that the charities Impact supports help people around us.” He continued, “What struck me –one person was able to rally the community—imagine if each person picked a cause they truly cared about…what we could accomplish.” I still get chills whenever I think of that sentiment. Justin made a huge impact on Ambler…and, on Impact Thrift, as well. Because of him, many lives will be changed for the better. Aidan Wiggins of Delaware Valley College: When Aidan Wiggins called me on a Saturday afternoon, I knew she was serious-minded! Her call was to find out if Impact Thrift would be willing to partner with Del Val for an “End of the School Year” Collection Drive, for their student residents. Of course, I said Yes! And the rest is eco- history! 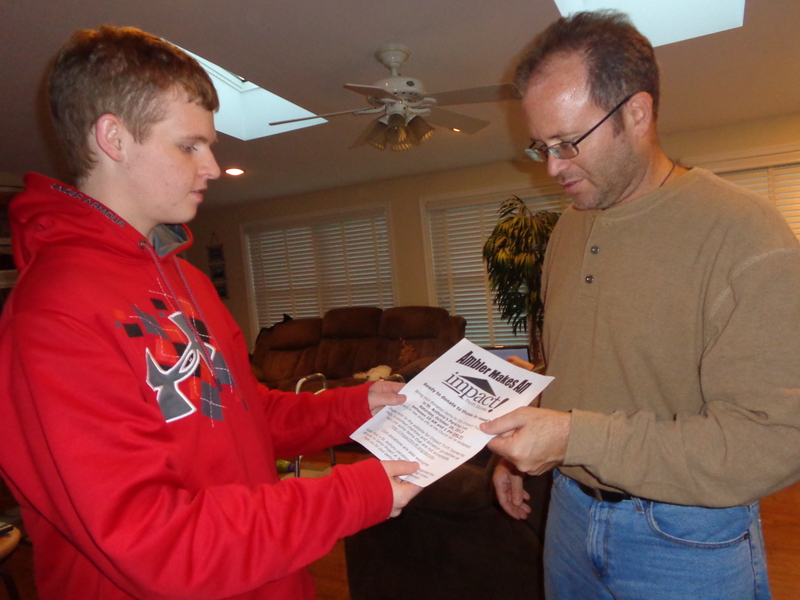 Aidan is President of Delaware Valley College’s Environmental Initiatives club, Project Earth. 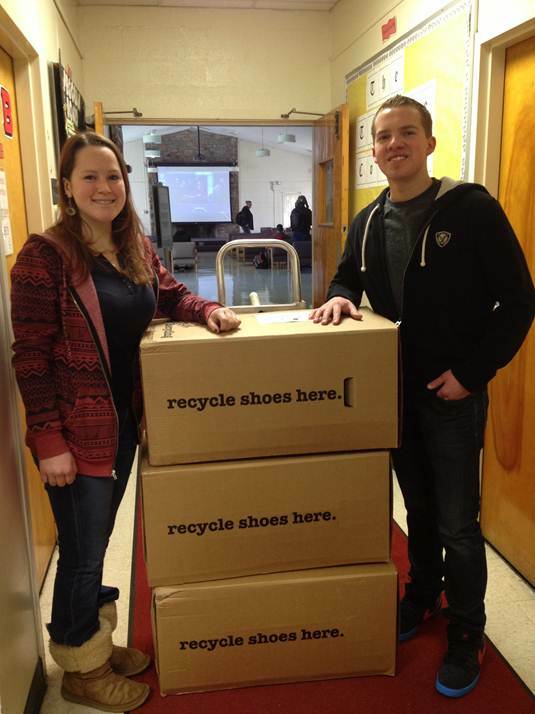 Project Earth’s mission is to increase environmental awareness at Del Val. Her goal was to enable students who were moving out of dorms /apartments to donate the items they no longer needed…and divert from landfills. Here’s the best part. To ensure that the Del Val’s students would have a greater opportunity to donate, Aidan rented a 12X8X8 portable POD to collect donations over the course of the month of May. To our astonishment, when the POD was delivered to us, it was filled with not only clothing, shoes and books, but futons, lamps, electronics, appliances and furniture. Through her drive, Aidan was able to inspire her entire college to reduce their environment impact and live more sustainable lives. Several months later (this past September), Aidan called me again. She wanted to acquire a permanent clothing bin to be housed on their campus year round to collect donations for Impact Thrift, beginning in November. “Our goal is to expand our partnership with Impact Thrift because we would like to support a local organization, and we admire your drive to resell clothing and shoes still in good quality, and responsibly recycle garments which are torn, or un-sellable. What would be your thoughts on this?” she asked. Of course, I told her that it was a super-fantastic idea…and very generous! And, I’m sure what lies ahead will, once again, be eco-history! Nistha Shah of Temple University Ambler: Nistha Shah is the Vice-President of Academic Affairs for Ambler’s Student Government Association. For an 18 year old, her title is impressive, but what is most impressive about Nistha is the way her eyes light up, and how excited she becomes, when she expresses how passionate she is about getting Temple Ambler involved in helping the community. Her lightning-in-a bottle enthusiasm for helping others is contagious. In November, under Nistha’s leadership, Temple Ambler will host a campus collection drive for faculty and students. “I want to give our students and staff the opportunity to donate and support what Impact Thrift does in the community”, Nistha expressed joyfully. After further meetings with Nistha, and spreading awareness about Impact Thrift’s various community outreach initiatives, she was inspired even more so, to go above and beyond her campus drive. 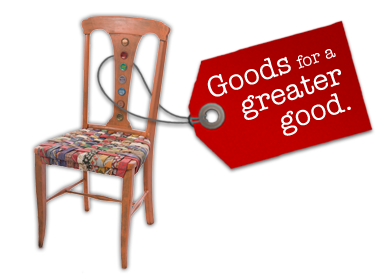 She now plans to also allow Impact Thrift to host a community-wide collection drive event on Ambler’s campus, in the Spring of 2014. Nistha is truly committed to community service and it shows through her various endeavors ranging from fundraisers to collection drives, for a variety of charitable organizations. Sometimes, I look at this young lady– a full time student on an academic accelerated program–and wonder how she does it all. Well, she does it all…and she does it well! 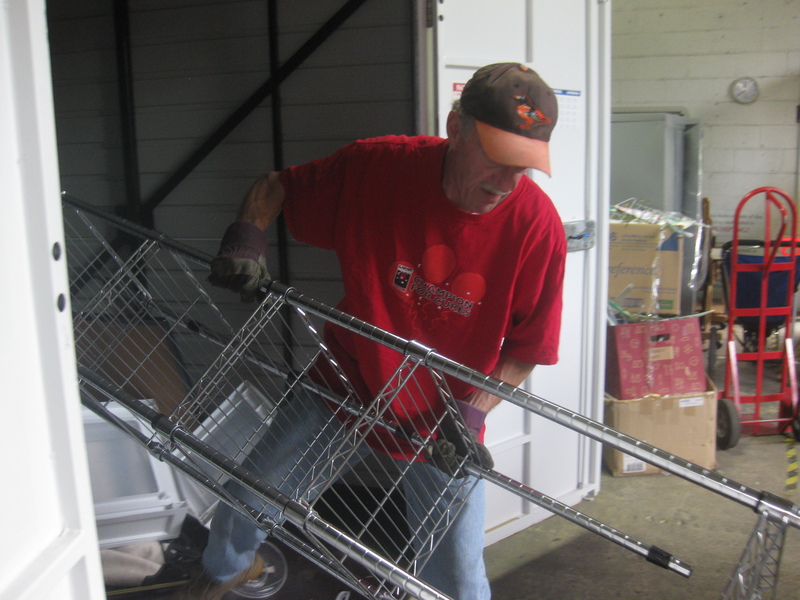 Impact Thrift is honored to be on Nistha’s list of worthwhile causes. This entry was posted in ImpactLIVE, The Big Picture, Uncategorized and tagged Aidan Wiggins, Ambler Makes an Impact, Ambler PA, community collection drive, Delaware Valley College, donate clothing, donate furniture, donate shoes, Environmental Initiatives Club, Impact LIVE, Justin MIles, Nistha Sha, Project Earth, shop thrift, St. Anthony of Padua, support charity, support community, Temple University Ambler PA, Wissahickon High School. Bookmark the permalink. ← YOU are Welcome… in more ways than one!